A mild cleanser for babies and young children. It nourishes scalp with natural proteins and minerals and leaves fine young hair beautifully soft and healthy. Helps maintain pH balance of hair. 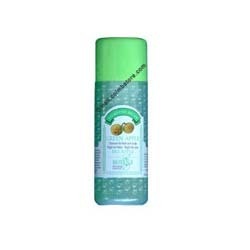 Patanjali kesh kanti anti dandruff hair cleanser is an herbal cleanser. It contains rosemary & tea tree oil which removes dandruff from hairs & enhances hair glow. Imc kesh win herbal shampoo. imc products sudip suthar. Herbal Dandruff Control hair cleanser is a unique formula compounded according to the ancient principles of Ayurveda. Dandruff shampoo is effective for all ages of men, women and children. Dr. Raksha's Amazing Herbal Dandruff Control hair cleanser saves your precious hair from early death due to dandruff. A gentle hair shampoo which helps in removing dandruff, stops hair loss, Cleanses the hair and gives the bounce and shine you want to your hair. Use Vaipani Keshwardhini Hair Oil the previous night for better results. Apply appropriate quantity of shampoo to wet hair and massage gently to form lather. Rinse thoroughly; repeat the process if required. hemparathy (Hibiscus) has many natural properties which have been valued through out the ages. One of its traditional uses is hair care. An everyday shampoo to clean the scalp and hair while making it soft and radiant. Added conditioner ensures tangle free hair.